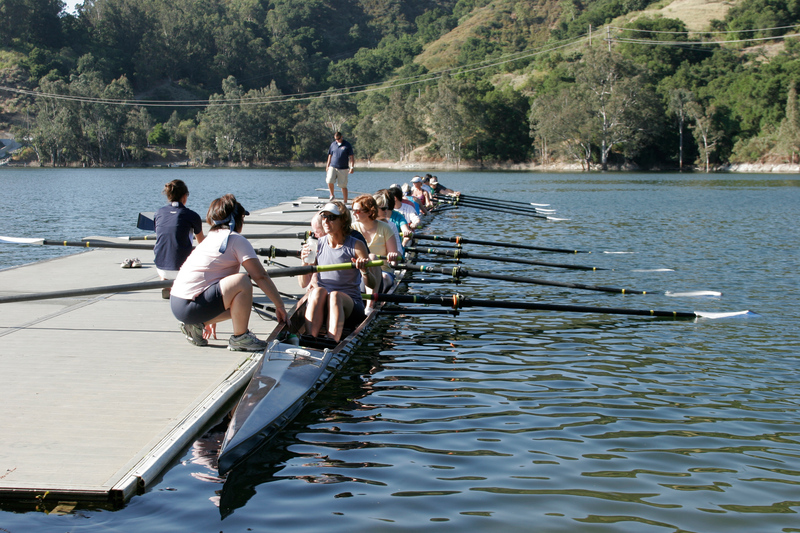 Learn To Row is a sweep-rowing program for ages 18 and up. The program caters to adults from all athletic backgrounds, ages and fitness levels. Our Learn to Row classes take place May - August. Never been much of an athlete? We welcome you! No experience with water sports? No problem! Are you a runner, cyclist or other type of athlete who wants to try a new sport? Rowing is a total-body, low-impact form of exercise! We do require that you be able to life 30 lbs overhead, since rowing does require rowers to take the boats from the boathouse down to the dock. The program begins with a short introduction to rowing technique on our Concept 2 indoor rowing machines and quickly moves on to the water in a shell (boat) with 8 rowers and a coxswain. The coxswain keeps the boat safe and on course. The coach will be alongside you coaching from a small launch. You’ll become familiar with rowing terminology, equipment handling, safety guidelines, and technique fundamentals, all while having fun of course! Upon successful completion of attending all four days within your session of Learn To Row, you have the option join our novice team for a two week trial free of charge immediately following Learn To Row. The team rows February - August and September - November. These classes will be opening by April 15 for registration. Our LTR coordinator, Amy, will be sending out an email to those who have emailed regarding classes, our apologies if we have not yet responded to your individual emails.